Growing up I read Little Women by Louisa May Alcott and of course saw the modern movie of it. This novel is about the life of Louisa May Alcott’s youngest sister, May. She is the fairest one of the family and loves to draw. When she gets a bad review of her artwork featured in Little Women, May decides to buckle down in seriousness regarding her artwork. Follow May on her journey from struggling artist in Massachusetts to her move to London, France and back again to study art. May is torn between pursuing her artistic career or returning home to help Louisa care for their mother who is aging. Family duty or career advancement? No matter what year it is all of us have experienced the quandary of listening to a family member’s request or sticking to our own plans. It’s a tight rope that’s not easy to walk along. This novel covers many topics from sibling rivalry to being a single woman on your own stuck in a man’s world, trying to be taken seriously. This book has great descriptions of France, London and Massachusetts. I am not the most educated when it comes to art and art terms, but this book gavies quite the primer. I enjoyed this novel. The only thing I didn’t like is that it’s, too long. If it was about half the length I think it might be more appealing. 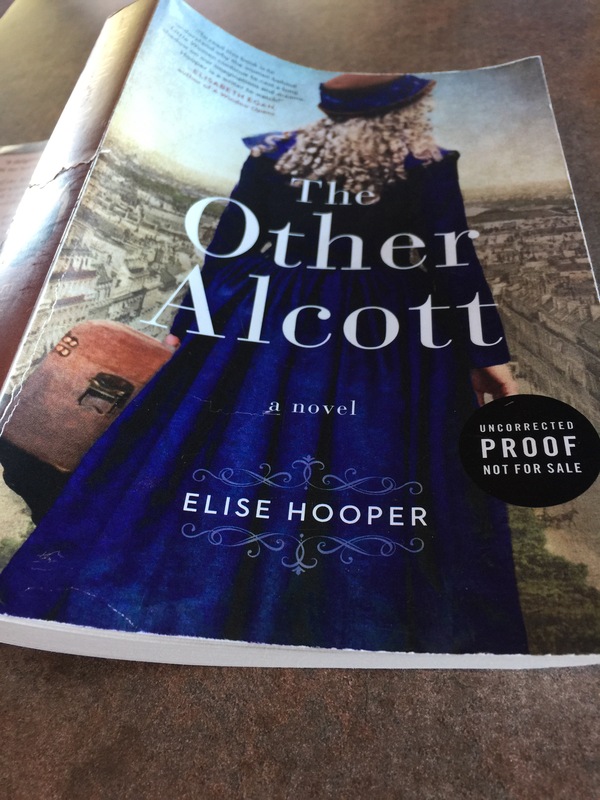 I received my free ARC copy of The Other Alcott by Elise Hooper from TLC Book Tours for my personal review. If you are interested in learning more about May Alcott via this in depth historical novel click here to get this book from HarperCollins. If you are interested to learn more about Elise Hooper click here to connect with the author. Happy reading! I agree. I thought it was too long! The plot got repetitive after a bit so some of it could have been cut back. Great review! Exactly. If it was about 250-300 pages that would been a better length. Maybe I’ve just discovered I’m not a long novel length reader.